The event features the $300,000 Listed Ladbrokes Mornington Cup (2400m) race. The winner of this race gains a ballot-free entry into the Caulfield Cup, so the excitement level is high at this stand-out event on the beautiful Mornington Peninsula. 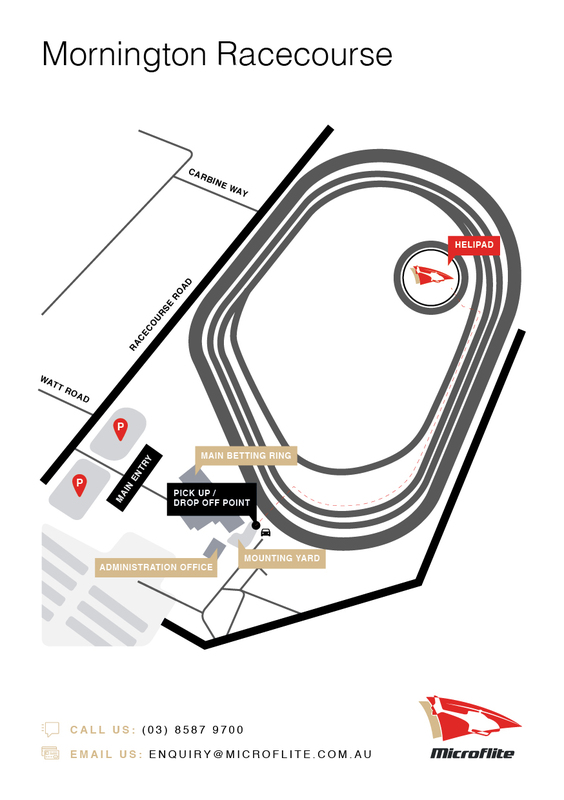 Multiple departure times to and from Mornington Racecourse available from Melbourne Heliport, Melbourne (Tullamarine) Airport and Moorabbin Heliport. 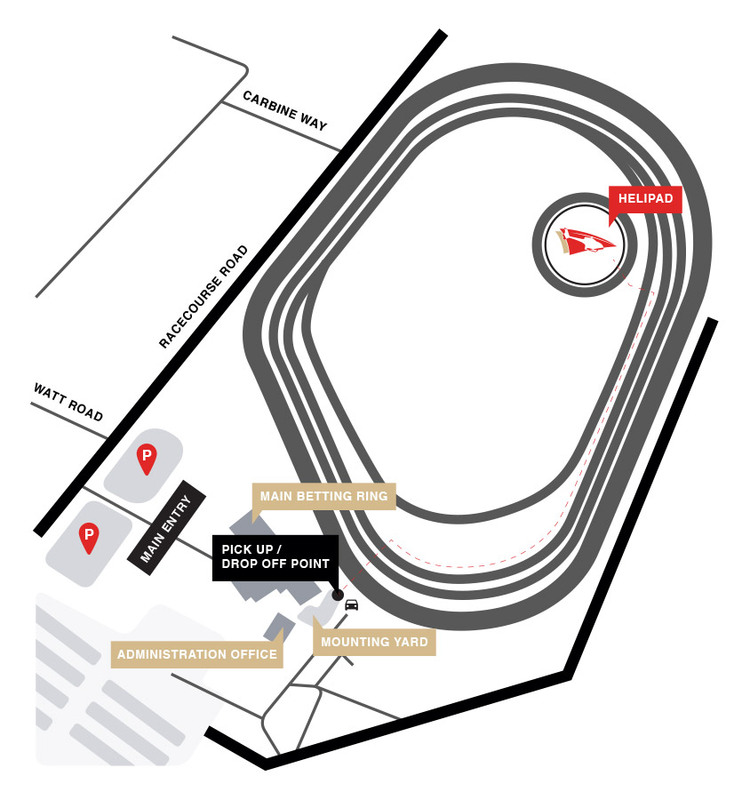 How do I get to the entry gate at Mornington Racecourse from the helipad? Please make your way across the track. A car will transfer you to a location near the entry gate. I have booked a one-way flight from the Mornington Racecourse, how do I find the helipad? Please refer to this map (link to map). Please make your way to the Administration Office located next to the Mounting Yard, where a car will transfer you to the helipad. Please arrive at least 20 minutes before your flight to ensure you are at the helipad 15 minutes before your scheduled departure time.